Registration is now open for the fifth annual First Day Hikes program taking place at 38 state parks and historical sites on January 1. First Day Hikes give people of all ages an opportunity to kick off the New Year and enjoy nature during guided walks. First Day Hikes offer a great way to connect with the outdoors, exercise and enjoy nature on New Year’s Day. Participants can expect to be surrounded by the quiet beauty of the season and spectacular vistas, and benefit from the company of a knowledgeable guide. State park staff and volunteers will lead these family-friendly walks and hikes, which average one to three miles or longer depending on the location. This year, 41 hikes are being offered at 38 New York state parks and historic sites. The programs include a seal walk, winter woodlands, a walking history tour, a snowshoe waterfall hike, pet-friendly treks, crossing one of the world’s longest pedestrian bridges, and more. If weather conditions permit, some First Day Hikes may include snowshoeing or cross-country skiing. Many hikes will be offering refreshments. Last year, over 2,100 participants took part in celebrating First Day Hikes across the state. Details about hike locations, difficulty and length, terrain, registration requirements and additional information are listed at nysparks.com. Celebrate the holiday season at more than 40 parks or historic sites across New York State. Holiday celebrations at New York State parks range from tours of the lavishly decorated Staatsburgh Mansion in the Hudson Valley, to candlelight tours of Old Fort Niagara overlooking Lake Ontario, to family-friendly tree-lighting celebrations at state parks on Long Island. Events will also include making holiday snacks for black bears at Trailside Zoo in Bear Mountain State Park, holiday cookie decorating at Green Lakes State Park and a gingerbread house contest at Philipse Manor Hall State Historic Site. 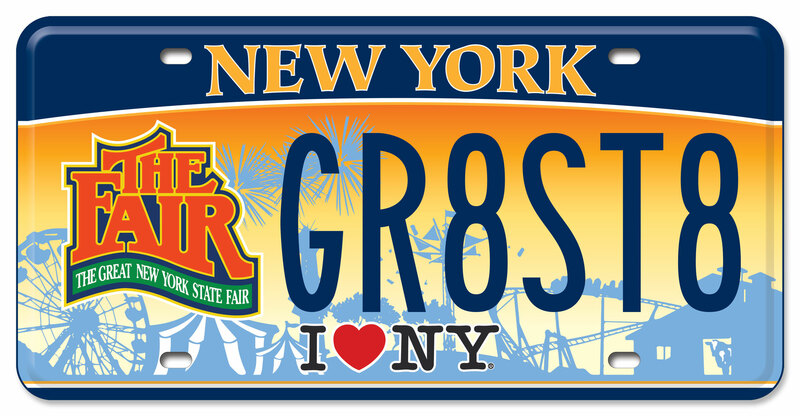 Some events require pre-registration and/or an admission fee; check http://nysparks.com/events for more details. Christmas by Candlelight at Lorenzo State Historic Site; Dec. 4 at 7 p.m.
· Christmas at Lorenzo State Historic Site: The Nutcracker; Dec. 5 & 6, 1 – 4 p.m.
· Holiday Cookie Decorating– Green Lakes State Park; Dec. 18, 19 & 20 at various times. 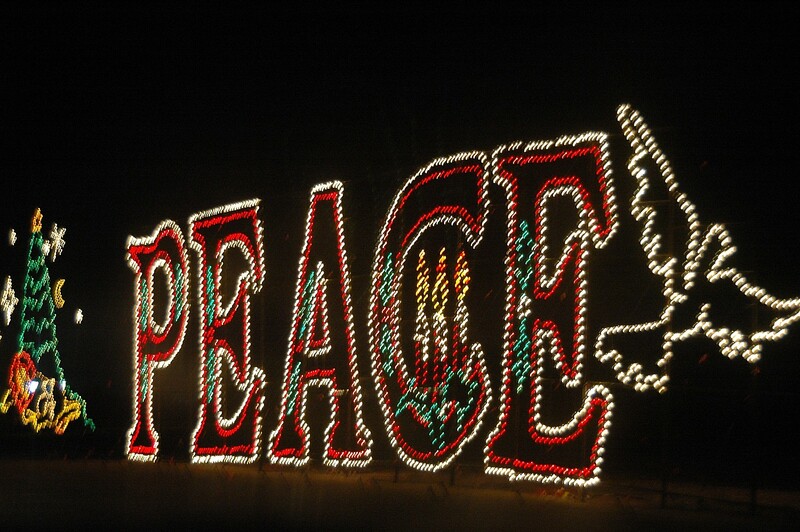 Holiday Light Spectacular – Jones Beach State Park; now through Jan. 4, beginning at dusk. · Holiday Tree Lighting Ceremony – Bayard Cutting Arboretum State Park; Dec. 4 at 5:30 p.m.
· Holiday Tree Lighting Ceremony – Orient Beach State Park; Dec. 4 at 6:30 p.m.
· Family Fun: Fire and Ice Candles – Caleb Smith State Park Preserve; Dec. 5 at 9:30 a.m. & 1:30 p.m.
· 2015 Holiday Tree Lighting Ceremony– Belmont Lake State Park; Dec. 5 at 4:15 p.m.
· South Side Sportsmen’s Club Historic House Tours– Connetquot River State Park Preserve; Dec. 6, 1-3 p.m.
· 2015 Holiday Tree Lighting Ceremony – Planting Fields Arboretum State Historic Park; Dec. 11 at 6 p.m.
· Wreath Workshop – Caleb Smith State Park Preserve; Dec. 12 at 10 a.m. & 1:30 p.m.
· Family Fun: Ice Candles – Connetquot River State Park Preserve; Dec. 12 at 1:30 p.m.
· Tiny Tots, Nature Discoveries: Holiday Cards – Caleb Smith State Park Preserve; Dec. 17 at 10 a.m.
Keepsakes and Pomanders– Clay Pit Ponds State Park Interpretive Center; Dec. 5 at 1 p.m.
· Annual Wreath Making– Clay Pit Ponds State Park Interpretive Center; Dec. 19 at 10 a.m.
Christmas with the Ellisons – Knox’s Headquarters State Historic Site; Dec. 12 & 19, 4 – 7 p.m.
· Festival of Lights – Senate House State Historic Site; Dec. 12, 5 – 8 p.m.
· Warm Up at the Washingtons – Washington’s Headquarters State Historic Site; Dec. 13, 1 – 5 p.m.
· Berry Merry Holiday – Bear Mountain State Park; Dec. 19 at 10:30 a.m.
· Open House – Knox’s Headquarters State Historic Site; Dec. 27, 28 & 29, 10 a.m. – 3 p.m.
Holiday Craft Bazaar – Thacher State Park Nature Center; Dec 5, 10 a.m. – 4 p.m. & Dec. 6, 10 a.m. – 2 p.m.
· St. Nicholas Day Open House – Crailo State Historic Site; Dec. 5, 12 – 4 p.m.
· Sweater Mitten Mania – Thacher State Park Nature Center; Dec. 12 at 10 a.m.
· A Child’s Christmas storytelling – Clermont State Historic Site; Dec. 5 & 6 at 10 a.m.
· St. Nicholas Day Celebration– Philipse Manor Hall State Historic Site; Dec. 5, 12 – 4 p.m.
· Holiday Whodunit– Staatsburgh State Historic Site; December 6, 13, 20 & 27, 1 – 4 p.m.
· Holiday Themed Guided Tours – Philipse Manor Hall State Historic Site; Dec. 8 – 12, Dec. 15 – 19, Dec. 22 – 24 & Dec. 29 – 31 at 12 & 2 p.m.
· 2nd Annual Yonkers Downtown Gingerbread House Contest – Philipse Manor Hall State Historic Site; Dec. 12 at 2 p.m.
· Friends of Clermont Holiday Party – Clermont State Historic Site; Dec. 12, 5 – 7 p.m.
· Candlelight Tours of Clermont – Clermont State Historic Site; Dec. 13 at 3 p.m.
· Holiday Tour by Candlelight – Philipse Manor Hall State Historic Site; Dec. 15 – 19 & Dec. 22 – 24 at 7 p.m.
· Christmas at Clermont open house – Clermont State Historic Site; Dec. 19, 11 a.m. to 4 p.m.
· Jingle Jangle: A Winter Celebration – Olana State Historic Site; Dec. 26, 1 to 5 p.m.
· Holiday Craft Workshop for Kids: Make a Mouse House –Staatsburgh State Historic Site; Dec. 29 & 30 at 11 a.m. & 2:30 p.m.
· Winter Break Mini-Camp: A Jay Holiday – John Jay Homestead State Historic Site; Dec. 31 at 1 p.m.
Pine Bow Wreath Workshop – Minna Anthony Common Nature Center, Wellesley Island State Park; Dec. 5 at 10 a.m.
· Holiday Bonanza – Minna Anthony Common Nature Center, Wellesley Island State Park; Dec. 12, 10 a.m.– 3:30 p.m.
Castle by Candlelight– Old Fort Niagara State Historic Site; December 5 & 12 at 6:30 p.m.
· Christmas Open House at River Lea Farmhouse– Beaver Island State Park; December 6, 1 – 4 p.m. The New York State Office of Parks, Recreation and Historic Preservation oversees 180 state parks and 35 historic sites, which are visited by 62 million people annually. For more information on any of these recreation areas, call 518-474-0456 or visit www.nysparks.com, connect on Facebook, or follow on Twitter. Syracuse, NY – Tap into one of the sweetest events of the year, New York State’s Maple Weekend, which will be celebrating its 20th year in 2015. The event takes place March 21-22 and March 28-29 from 10am-4pm each day. During both weekends, producers from across the state will welcome families to their farms to experience firsthand how real, mouthwatering maple syrup and other related maple products are made. Visitors will have the opportunity to enjoy fun, family-friendly activities, taste New York’s freshest syrup and purchase maple products directly from the source. Each year, New York ranks as one of the top maple producing states in the U.S. As spring temperatures begin to rise in late February and early March, maple trees and sugar bushes come alive with activity. In Northern New York, when sap begins to drip through sugaring lines, it’s a sure sign that maple sugaring season has begun. Maple Weekend offers visitors and residents alike the opportunity to taste this “liquid gold” in all its forms. During Maple Weekend producers from across the state welcome families to their farms to experience firsthand how real, mouth-watering maple syrup and other related products are made. You’ll also have the opportunity to enjoy fun, family-friendly activities, taste New York’s freshest maple syrup and purchase your favorite maple products. Plan your own Maple Weekend trip at mapleweekend.com and join the conversation on Facebook at facebook.com/mapleweekend. GREENE COUNTY, NY – New Year’s Eve in the Great Northern Catskills of Greene County offers family-friendly entertainment, as well as romantic couples retreats in the mountains just two hours north of New York City. New Year’s Eve Celebration on the Snow at Hunter Mountain is part tailgate party, part traditional New Year’s Eve celebration. Grab your friends and head to the mountain for a day of skiing and riding, and stick around for the after-party, complete with live music, a torchlight parade, giveaways, door prizes, and of course, spectacular fireworks. The evening of entertainment kicks off at 4 pm. At Windham Mountain, the NYE Celebration with Joshua Tree features the “premier U2 tribute band” which will perform along with DJ Brian from 8 pm – 1 am. A special entertainment program for kids includes a magic show with magician Sean Doolan, and a movie night followed by fireworks. Ring in the New Year at Blackthorne Resort and dance the night away during their New Year’s Eve Bash, which will include an open bar cocktail hour, five-course dinner and live entertainment by Peter McKiernan for $55. Join for dinner or just the after party, and dance to the Kitty Kelly Band. Enjoy a Champagne toast, buffet and fireworks at midnight. Reservations are suggested and rooms are available for overnight guests. Winter Clove Inn’s New Year’s Celebration package includes overnight accommodations and a New Year’s Eve party for all ages. The evening kicks off with a sumptuous feast, followed by bowling and snacks for the kids, and a live band with cash bar for the adults. At 11 pm, everyone is invited to enjoy a pizza party followed by a champagne toast at midnight. Rates are $145 per adult and vary for children depending on age. Bavarian Manor Country Inn & Restaurant’s New Year’s Eve package includes overnight accommodations, an elegant dinner, live music by Nickel Candy, party hats, late-night buffet and a champagne toast to ring in the New Year. Book overnight accommodations by December 15 to receive special dining discounts. Rates vary. For more information about New Year’s Eve lodging packages and festivities in Greene County, go to www.greatnortherncatskills.com. Greene County is the Great Northern Catskills, home to five of the 10 highest peaks in the Catskill Park, family resorts, outdoor adventure and year-round entertainment. Known as the nation’s first wilderness, and renowned as the home of Thomas Cole’s Hudson River School, the Catskills are a haven for outdoor recreation and artistic inspiration. Greene County was also the inspiration for Washington Irving’s literary legend, Rip Van Winkle. Connect with the Catskills at Facebook.com/GreatNorthernCatskills, and on Twitter.com/CatskillTourism.